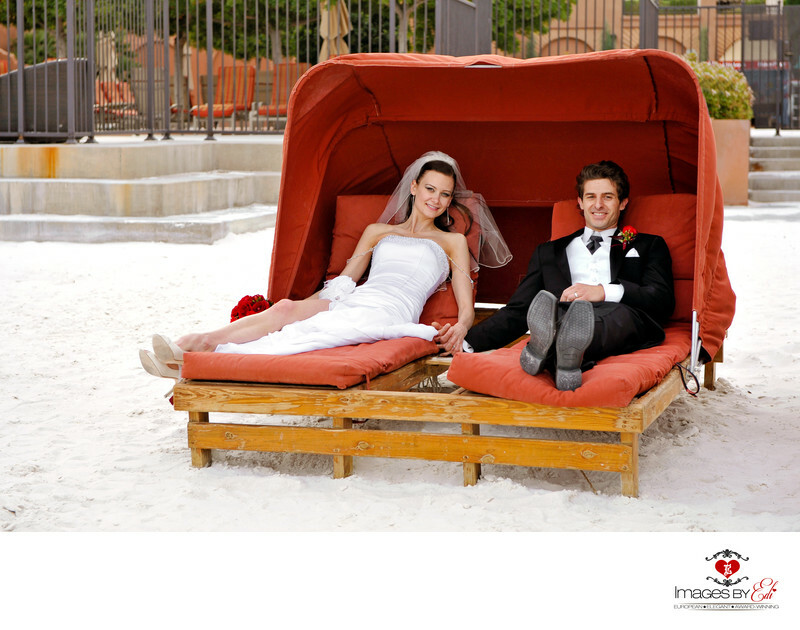 Wedding couple sitting on the beach in the cabanas holding hands after their Westin Lake Las Vegas Wedding ceremony. Location: The Westin Lake Las Vegas Resort & Spa, 101 Montelago Blvd, Henderson, NV 89011. Keywords: Las Vegas Wedding Photographer (624), Las Vegas Wedding Photography (642), Wedding couple on the beach (3), Westin Lake Las Vegas Wedding Photographer (153), Westin Lake Las Vegas Wedding Photography (159).